Cronx Brewery’s bar offers up to 6 cask and 16 keg beers – a mix of their own beers plus guests – at this tiny bar in a shipping container. 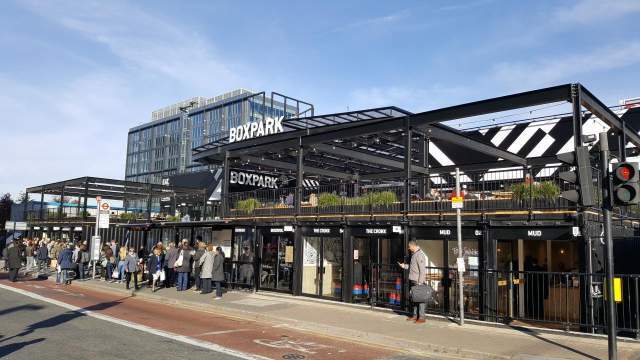 Part of the trendy new Boxpark complex right next to East Croydon station, the bar has a prime location with its entrance directly off Dingwall Road by the bus stop (ignore the George St address to find it). Multiple high quality food offerings are available at the other outlets in Boxpark, hence our 'full menu' tag despite no food being offered in Cronx Bar itself.